The BRW Rich List Withers and Barlow family, have sold seven New South Wales 7-Eleven convenience store and service station investments in a highly competitive Sydney auction for a combined total of $33.085 million with a benchmark yield of 3.85 per cent and an average yield of 4.6 per cent. JLL’s John Macree, Leslie Cheng and Dylan McEvoy managed the sale process on behalf of the Withers Barlow Property Trust PL. 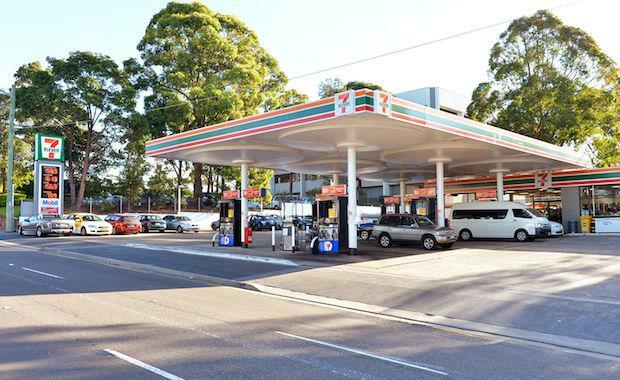 The properties are part of the Withers and Barlow family portfolio that also includes three 7-Elevens in Queensland, going to auction on August 6, and six 7-Elevens in Victoria scheduled for auction on August 7. According to JLL’s Director in Charge – Parramatta John Macree, the lively auction highlighted the continued strength of service stations as an attractive asset class for investors. “The properties represented an incredible rare offering, ticking almost every box for an investor looking for a secure investment with a premium tenant, long-term lease, high underlying land value, certainty of rental growth, and high-profile exposure locations. “Each of the individual 7-Eleven investments offer all of the necessary ingredients for a prudent investor, with highlights including 15-year lease terms that commenced between 2010 and 2012, with three five-year options; fixed four per cent annual rent increases, with the tenant responsible for all outgoing costs except land tax. “Given the current low cash rate and low borrowing costs, these types of properties are an ideal investment opportunity for private investors. This was reflected in today’s auction. The properties today achieved record low yields which can be attributed to the present low interest rate environment,” said Mr Macree. 7-Eleven is a globally recognised brand and Australia’s number one convenience retailer. 7-Eleven Stores Pty Ltd is owned by the Withers/Barlow family and ranks in the Top 30 of BRW’s Top 500 Private Companies listing.